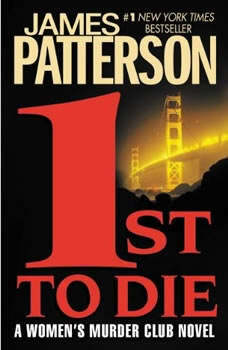 1st To Die: Booktrack Edition adds an immersive musical soundtrack to your audiobook listening experience! * Imagine a killer who thinks, "What is the worst thing anyone has ever done?" --and then goes far beyond it. Now imagine four women --a police detective, an assistant DA, a reporter, and a medical examiner --who join forces as they sidestep their bosses to track down criminals. Known as the Women's Murder Club, they are pursuing a murderer whose twisted imagination has stunned an entire city. Their chief suspect is a socially prominent writer, but the men in charge won't touch him. On the trail of the most terrifying and unexpected killer ever, they discover a shocking surprise that turns everything about the case upside down. *Booktrack is an immersive format that pairs traditional audiobook narration to complementary music. The tempo and rhythm of the score are in perfect harmony with the action and characters throughout the audiobook. Gently playing in the background, the music never overpowers or distracts from the narration, so listeners can enjoy every minute. When you purchase this Booktrack edition, you receive the exact narration as the traditional audiobook available, with the addition of music throughout.